Vol. VI, 4 of the C.P.E. 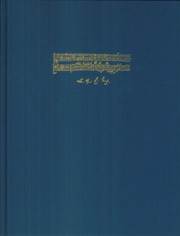 Bach Complete Edition, edited by the Packard Humanities Institute The “Morgengesang am Schöpfungsfeste” Wq 239 resulted from the personal friendship between the poet F.G. Klopstock and the composer. It exudes the spirit of the end of the 18th century like almost no other work. In keeping with the spirit of the Enlightenment, a natural event – sunrise – is used as an allegory for the resurrection, giving expression to it. 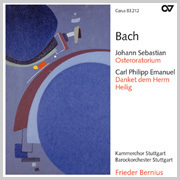 The natural spectacle also forms the starting point for Bach’s composition, an eight-part, through-composed cantata for two sopranos, chorus, flutes, strings, and continuo. The term “Schöpfungsfest”, or “festival of creation”, refers to Sunday as the day which commemorates the seventh day of creation. This volume of the Complete Edition contains the “Morgengesang”, the wedding cantata, and arias and chamber cantatas. The performance material for the edition contains just the "Morgengesang".